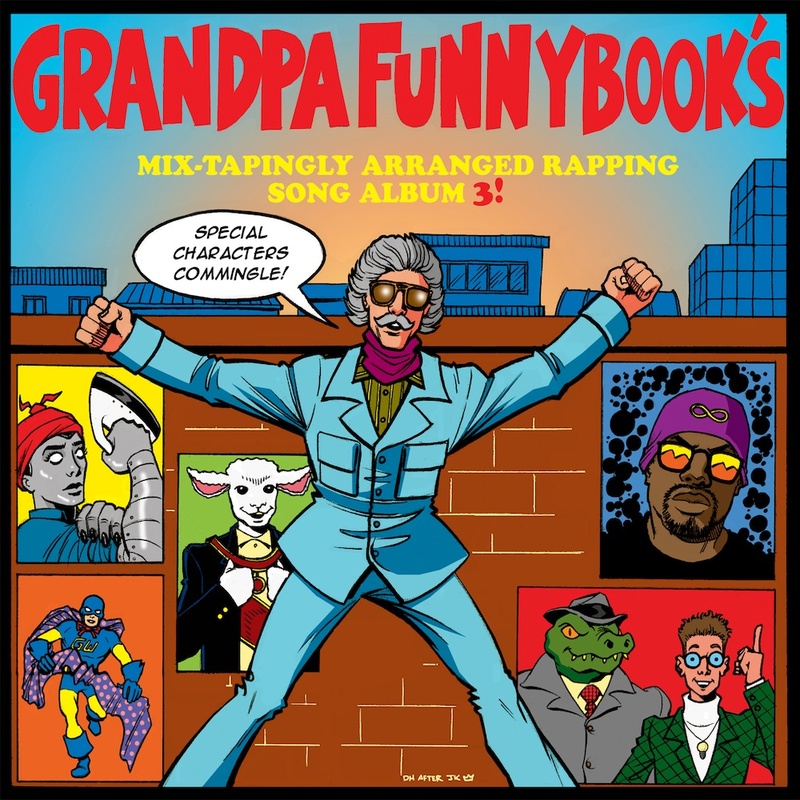 Hand'Solo Records » Blog Archive » Grandpa Funnybook 3 – artwork & tracklisting! Home Bass > Grandpa Funnybook 3 – artwork & tracklisting! Fan Expo is fast approaching and Hand’Solo Records is once again repping with a table in Artist’s Alley, this time shared with talented comic book creator and artist Mike Holmes (http://www.mikeholmesdraws.com/) who not only draws his only weekly comic strip True Story but also works on popular comic books Adventure Time and Bravest Warriors. I’m super-excited to be sharing a table with him again this year! And is with every previous appearance at Fan Expo, Hand’Solo Records has teamed with Wordburglar for another volume of Grandpa Funnybook’s Mix-Tapingly Arranged Rapping Song Album. As usual, volume 3 is hosted by Grandpa Funnybook as he reminisces on his favourite Special Characters, and Peter Project returns as DJ to mix this selection of nerdy rap music featuring members of Backburner, Hand’Solo Records artists, and some of the best in nerdcore. In the meantime, feel free to take a good look at the cover and the tracklisting. The artwork was drawn and coloured by Dave Howlett (@paskettiwestern) and the layout was done by Prime (@PrimordialEmcee). Thanks to both for coming through with a beautiful package.